The conference gathers together key stakeholders in immunization programmes from around the world: managers of national immunization programmes, staff members from WHO and UNICEF, vaccine and cold chain equipment manufacturers, representatives from public health agencies, development partners, and independent experts. The TechNet Conference is held approximately every two years. The most recent TechNet Conference was held in Bangkok, Thailand in 2015 and was attended by over 250 delegates. Videos of presentations given and copies of accompanying slidesets can be found here. 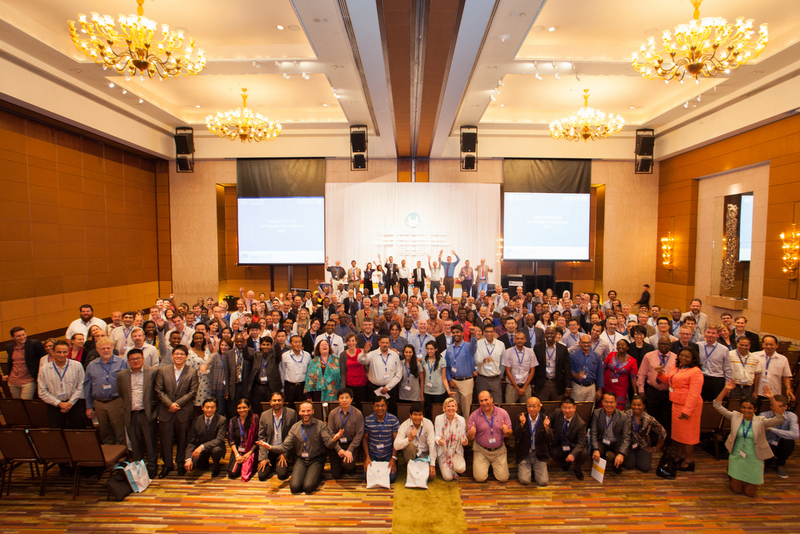 Participants at the 2015 TechNet Conference in Bangkok, Thailand. Photo: WHO. The next TechNet Conference is scheduled to take place in 2017. Please subscribe to the Weekly Digest or follow TechNet-21 on Twitter for more information on future conferences. Library—a repository of useful journal articles, documents, tools, videos, websites, and other immunization resources. CCE—an area for members to submit reviews of WHO PQS-prequalified products, and read the reviews of others members. The TechNet Consultation and website enables the perspectives of immunization professionals to be taken into account by the WHO when formulating immunization policy and guidance though the Immunization Practices Advisory Committee (IPAC). TechNet also enables the policy recommendations made by the Strategic Advisory Group of Experts (SAGE) on Immunization and other WHO advisory committees to be operationalized into recommended practices for implementation at field level.